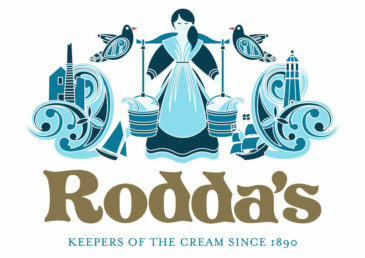 Using only milk sourced from farms based within 30 miles of its creamery at Scorrier, near Redruth, Rodda’s has been making Cornish clotted cream in the heart of the county since 1890. For almost 130 years, it’s been made in the same way: gently baking rich, local cream until it’s thick and unctuous, and topped by a golden crust. The range also includes butter, custard, milk and crème fraîche. Rodda’s clotted cream has been given Protected Designation of Origin (PDO) status, meaning that if a product label bears the words ‘Cornish clotted cream’, you can be sure that the product inside has been made from their distinctively rich and creamy local milk.